When you think of a holiday to India what do you think about first? Bustling streets and interesting markets? Crazy transport options? Perhaps it’s fabulous foods and cricket crazy citizens? You might be surprised to know that a trip to India, and particularly Goa, can be the scene of your dream beach holiday. Goa boasts some of the best beaches in India and is a great place to base yourself for your next holiday. The beaches in northern Goa are the most popular in the area. If you like to visit bustling communities these are the best choice for you. You won’t be bored, with a variety of water sports to choose from. All the usual suspects are here; banana boats, parasailing, jet skiing and even the chance to scuba dive. If you’re planning to let your hair down and experience some of the local nightlife, Goa is not lacking in a party atmosphere after dark. If a quieter area is what you’re dreaming of, the beaches in the south are more likely to be the most attractive to you. If you enjoy being on the water as well as lazing on the beach, be sure to make time to go out on a cruise and see if you can spot some dolphins. Kids love to see dolphins in the wild and it’s not something that everyone can say they have seen. When you’ve had your fill of the sun there is still plenty to do in Goa. It’s always a great idea to mix up rest days with days spent exploring whenever you visit any new place and this town is no exception. Why not set off to discover the historical significance of many of the old buildings still standing in Goa? Whether your preference is for old churches, convents or even museums there are plenty of opportunities to explore the local area and learn a little while on vacation. It sure helps that Old Goa has been protected by UNESCO for future generations. Obviously a visit to India would not be complete without trying all the local food specialties. Restaurants are everywhere and street food abounds. No matter what your taste there’s something scrumptious in Goa for you. Seafood is a particular specialty of this region so make sure you seek out some local king crabs or fresh prawns. Be sure to specify the level of spiciness you enjoy in your meals. Goan food can be a little much for the unsuspecting! No matter what kind of experience you prefer you’ll find Goa offers all kinds of entertainment for you and your family. Singles and couples will have just as much fun here as a family with small children. Finding just the right mix is the key to an enjoyable Indian holiday and Goa should be top of your list whether you’re here for a short break or stopping off while on a much larger tour of India. 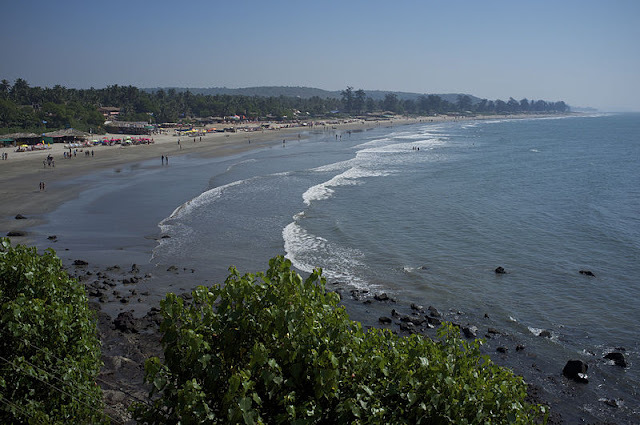 Plan your trip ahead and you’ll be sure to remember your Goa beach holiday as one of your best yet! Follow us on Facebook, Twitter, and Pinterest!